Fontodi is located in the hills south of the town of Panzano in the heart of the Chianti Classico region.This 90-hectare estate was in a run down and derelict state when it was acquired by Domiziano and Dino Manetti in 1968. They totally replanted the vineyards and renovated the winemaking facilities and today Fontodi is recognised as one of the finest producers in the region. The estate is now run by Macro and Gioivanni Manetti, ably assisted by winemaker Franco Bernabei. Its benchmark Chianti Classico is made from a blend of Sangiovese and Canaiolo and aged in large oak barrels whereby the Chianti Classico Riserva has a small amount of Cabernet Sauvignon in the blend, and a portion is aged in small French barriques. 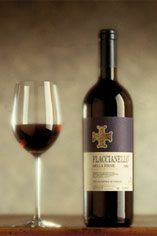 Its finest wine is the 100% Sangiovese, Flaccinello della Pieve. As it is every year, the 2012 Flaccianello della Pieve represents a selection of the best fruit from the best vineyards (excluding, of course, Vigna del Sorbo that is dedicated to its own wine). The five parcels span various soils types and exposures, and the youngest vines are 20 years old. Because the fruit selection process is so detailed, the darkest and smallest clusters are carefully chosen. As a result, the fruit is rich in polyphenols, thick extract and extra aromatic intensity. The 2012 vintage saw yields reduced by as much as 20%, meaning that fruit selection was even more severe in this vintage. This beautiful wine shows abundant richness and generosity with toned mineral nuances that are wrapped within bold flavors of dark fruit and spice. The wine is rich and velvety in texture. 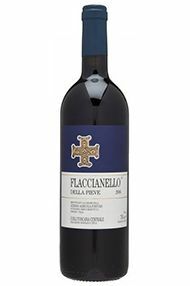 Possibly the best ever vintage for Flaccianello, this is bursting with ripe black cherry fruit but has all the depth and complexity we have come to expect from this exceptional vineyard in Panzano. Full-bodied and long, this is very attractive now, but will offer much more once it is mature. Keep until around 2015 to see it at its best. 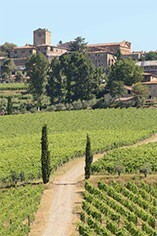 Following the glorious performance of Fontodi in 2010, I had lowered my expectations with regard to 2011. 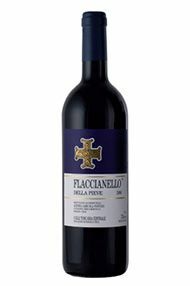 The 2010 Flaccianello della Pieve was one of my favorite wines tasted last year. Although the 2011 vintage does indeed result in softer, plusher wines, the Fontodi magic is delivered in droves nonetheless.